Tales of Foster High – Sequel to The End of the Beginning Kyle Stilleno used to be the invisible student. 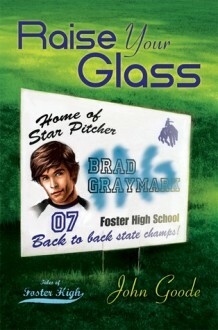 Brad Greymark used to be the baseball star. Then they fell in love and Brad outed them both with a spectacular public display of affection, and now everything is different. After spending a few days lying low, Kyle and Brad are going back to school. It’s time to face the music and see how Foster High deals with their growing romance. But the school’s reaction—and the staff’s hostility—are not what they expected. Everyone they know seems to be allied against them. Isn’t there anyone they can count on to defend their happiness? 5 stars. Wow. That was so real. So unsettling.